Will has written three books on Guthrie: Woody Guthrie, American Radical (2011), Woody Guthrie's Modern World Blues (2017), and Mapping Woody Guthrie (2019). He was consultant to Johnny Depp and Douglas Brinkley for the publication of their co-edited edition of Guthrie's posthumously discovered novel, House of Earth (2013), and it was Will who unearthed Guthrie's writings condemning the racist practices of his New York landlord, Fred Trump. ​In his day job, Will is Professor of American Literature and Culture at the University of Central Lancashire in England. Will is also a singer and multi-instrumentalist who has been presenting "live documentaries" on Guthrie throughout North America and Europe. 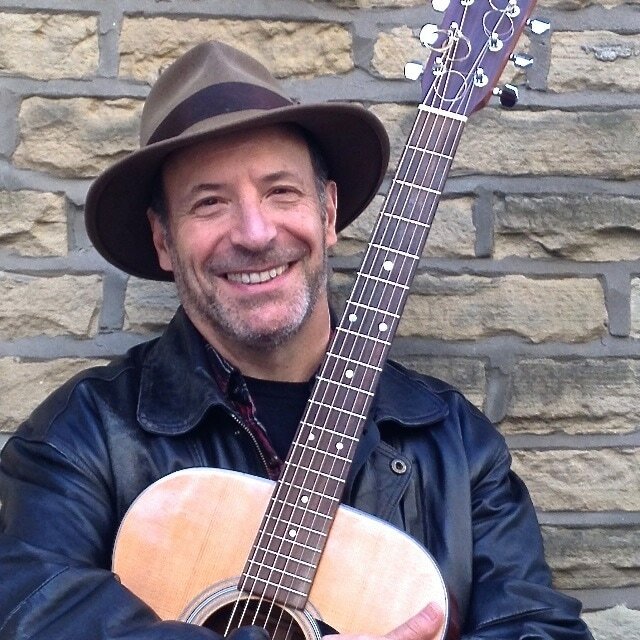 He has appeared at such major events as the Glastonbury Festival, the Bath International Music Festival, the Whitby Folk Festival, the Big Session, and the Piacenza Literature and Blues Festival in Italy. He has also performed at countless universities, civic theatres, trades clubs, folk clubs, and union halls. 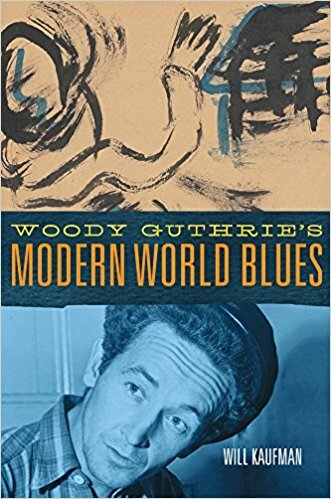 WOODY GUTHRIE: HARD TIMES AND HARD TRAVELIN' sets Guthrie's songs in the context of the American 1930s - the Dust Bowl, the Depression, the New Deal and the state of popular music itself. Such hard-hitting Guthrie songs as "Vigilante Man", "Pretty Boy Floyd" and "I Ain't Got No Home" are brought into conversation with other relevant songs - from Joe Hill's "The Preacher and the Slave" to "Brother, Can You Spare a Dime?". Altogether the show highlights the blending of music and radical politics that marks Guthrie's most powerful work. WOODY GUTHRIE: THE LONG ROAD TO PEEKSKILL presents the story of Guthrie’s personal transformation from a youthful Oklahoma racist to the ardent anti-racist champion who, along with many others, risked his life holding the line against American fascism during the notorious Peekskill riots of 1949. The Long Road to Peekskill is both a harrowing and uplifting presentation, showing through the example of Woody Guthrie that racists are not born, but made - and that they can be unmade. WOODY GUTHRIE AND "OLD MAN TRUMP" - Will's newest show - tells the story of Guthrie's battles against his racist Brooklyn landlord, Fred C. Trump, father of the US president. Based on unpublished songs, letters, and notebooks that Will discovered in the Woody Guthrie Archives, the show brings to life all the anger and contempt that Guthrie felt for those in power who will deny justice to their fellow human beings on account of the color of their skin. No one can understand the American people without listening to Woody Guthrie. Will Kaufman's doing important work here. I thank Will Kaufman for introducing a new generation of Europeans to 'the other America'. It's a wonderful job he's doing. Will does it all so well! You can taste the dust and hear the train whistle blow. Will presents this exhilarating show in the fastest hour and a half you are likely to witness when you consider the breadth and depth of his subject. He performs Woody’s songs with great skill and understanding, playing the guitar, banjo and fiddle with enviable panache and brio. His presentation is accomplished with great musicality, wit, honesty, and compassion. I was deeply moved by the whole show and grateful to Will for reminding me once again of the debt I owe to Woody and the admiration I have for his music. You have done Woody proud, Will! I urge everyone to see the show and find out more about the man who inspired so many. I so appreciate all of your efforts to take his legacy further. Who knows where he'll end up! Will Kaufman is a-comin' and he's got his eye on you. Your bigot ways can't save you 'cause Will Kaufman's gonna run you down. Watch "This Land Is Your Land": The Story of an American Anthem - a delightful documentary made by History students at Manchester University, intertwining the lives of Woody Guthrie and Will Kaufman with the familiar, yet often misconstrued, American ballad. "Woody Guthrie, 'Old Man Trump', and a Real Estate Empire's Racist Foundations"
"In Another Newly Discovered Song, Woody Guthrie Continues His Assault on 'Old Man Trump'"
Woody Guthrie: Hard Times and Hard Travelin' was filmed in New York for C-Span's Book-TV program. Click here to view. To hear Will on Pasadena's NPR station KPCC, talking and singing some of Woody's songs the Patt Morrison show, click here. To hear Will on KQED (San Francisco) with Michael Krasny, host of Forum, click here. Buy it from the Woody Guthrie Store (click here​) or order it through your local bookshop. Buy it from the Woody Guthrie Store (click here) or order it through your local bookshop.